Crazy stuff going on in this world. JP you ok up there? Terrible... wonder who is behind it. Apparently several explosives did not go off, including one under the grand stands. That would have been really bad. Prayers sent to Boston. I am sad and furious over innocent people being hurt again on US soil. Yes, my biggest question is what happened with the pre-event security? Isn't is standard procedure to have bomb sniffing dogs etc run a sweep prior to? Exactly.. With all those cameras and people.. No one could have prevented this? That report is being denied by the Boston PD spokeperson Rich. Sounds like the New York Post is putting a lot of stuff out there no one else knows about. This is the type journalism that I hate. Very sad and tragic day in our country. Other stations now reporting a man is being guarded at the hospital.. with automatic weapons. So.. not technically in custody. As someone who is more than 1000 miles away from the events, which reports are more accurate, the ones from ABC News saying 2 dead and 86 injured or the NYPost article stating 12 dead and 50 injured? The most up to date info I am seeing on the news here in Tampa is 2 dead over 100 injured. Prayers and condolences to the families of their lost and hurt loved ones... It is truly sad that things like this are felt necessary to make a point. I rest in the fact Our Lord has a better plan and one day all this will be over. One of the dead is an 8 year old, i heard. Rich, Looks like they may have moved in with back packs after everything was on..Small bomb low to the ground...It's so spread out it would be almost impossible to stop. Very sad day indeed. Nothing but a bunch of cowards who know we will shred their a s s es. Horrible, just horrible. What is wrong with people? Seriously? This seriously pisses me off, total Bullcrap. WTF does this type trash accomplish? I hope a picture of the mf'ers responsible pops up real soon. They should hang him where the finish line was, seriously, it's time to send a real message to these a$$holes. People are reporting what they know at the moment. The one with the most recent timestamp probably has better information. Last report I saw said 2 dead and 141 injured. Hopefully those numbers will not grow much from this point. The last report I saw said 3 dead and 115 injured. Thought I'd share the story of the 8 year old. He was a local boy from Dorchester who ran out to hug his dad when he crossed the finish line. When he went back to where his mom and two siblings were standing the bomb went off. He was killed, his sister lost a leg and his mom is in critical condition at the hospital having brain surgery. The other sibling and the dad are okay. The dad is a well respected community leader. Hard to even type this up. so many awful eyewitness stories on the news. Just fills me with anger. Those bombs were not designed to cause structural damage. They're designed to "harm people"
This is the type journalism that I hate. Maybe you should hate the spokesman for the Boston PD since he got his story wrong. It's hard to tell who has actual information and who's just throwing crap against the wall and hoping it sticks. A Saudi national is under custody in a hospital. His home was searched last night and policy came out with several large bags. No one is throwing crap up against the wall in this one. It is a quickly developing story. What you heard around 6pm can drastically change in half an hour. I'm sure a lot of you are already guessing this but don't be surprised if the death toll jumps dramatically today. Blasts like those cause grave internal injuries and if the reports are true a lot victims are being kept alive on machines so family members can come see them. Fortunately in the area where the bombs went off there were a lot of surveillance cameras so lets hope they can gather enough evidence to find who did this. As of Tuesday morning, no persons or group had claimed credit for twin explosions at the finish line near Boston’s Copley Square. The Pakistani Taliban, a group that has threatened the United States in the past, denied participation, according to the Associated Press. Law enforcement officials questioned an injured Saudi national at a local hospital, but news stories indicated that the individual appears to have no connection to the case. The Boston Globe reported that he was simply a frightened spectator who had tried to flee but was tackled and restrained by bystanders. Looks like the apartment with the bags did not belong to the same Saudi guy they were guarding at the hospital. 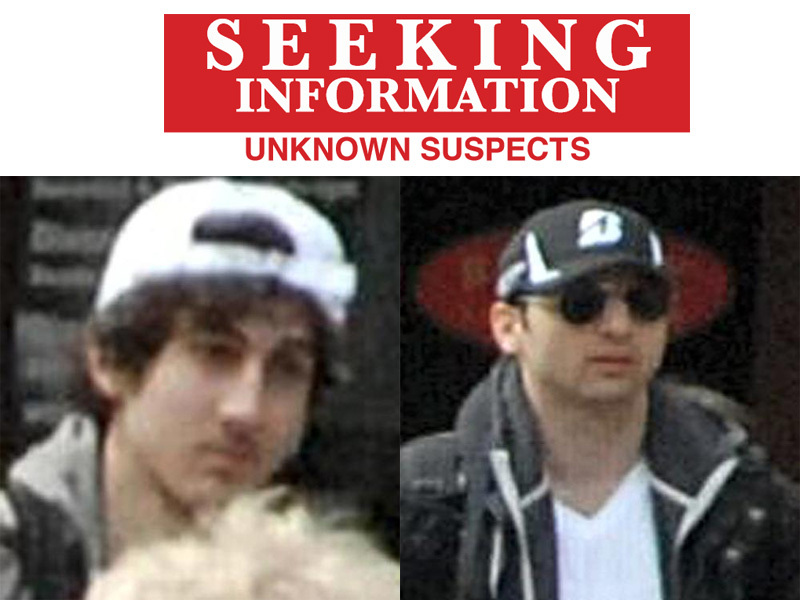 Law enforcement officers investigating the Boston marathon bombings searched the suburban apartment of a man being questioned in connection with the attack late Monday into early Tuesday. WBZ-TV reports. Two bombs exploded in the crowded streets near the marathon finish line, killing at least three people and injuring more than 140 in a bloody scene of shattered glass and severed limbs that raised alarms that terrorists might have struck again in the U.S.
CBS News senior correspondent John Miller reports the man is a Saudi national currently under guard at an area hospital. He was seen running from the explosion, and a civilian chased him down and tackled him. He was turned over to Boston police and was being interviewed by the FBI. He was being cooperative and denying any involvement and it was too soon to call him a suspect. The boy who died after waiting for his dad to finish the Boston Marathon Monday when two bombs exploded seconds apart was a typical 8-year-old who loved to ride his bike and play baseball, according to a neighbor. Martin Richard died from the explosion that injured his mother and sister as they all waited for his father to finish the race, according to ABC News' Boston affiliate WCVB-TV. A single candle was placed in front of his home overnight in Dorchester, Mass. "There are no words to describe how they are feeling ... we are feeling," neighbor Jane Sherman told WCVB, adding that the family is close-knit. AP and CNN are reporting this!!! Been watching them chase these 2 through watertown all night.. heard the shootout on the news. Now 1 dead. Chasing the other. Will have him pinned soon. Cant sleep. Much watch justice unfold. I just pray no more innocent get hurt. I've been through Watertown so many times and its crazy to see this happening. NBC reporting that the suspect who was killed was coming at police with a bomb strapped to his chest. He never managed to detonate it. This is all just hitting too close to home. Apparently one of the 2 guys goes to UMass Dartmouth....I played soccer there in high school everyday and half the kids I know go to school there. Crazy. This is definitely hitting close to home. My daughter received and acceptance letter from Umass Dartmouth yesterday and I work in Waltham which is adjacent to Watertown and currently on lockdown. Unbelievable stuff going on. I hope they catch up to the last bomber soon. I used to have an office near the Waltham/Newton line. I hope they get him soon but unfortunately I think there is a much larger network than just these two. I fear this isn't close to over.